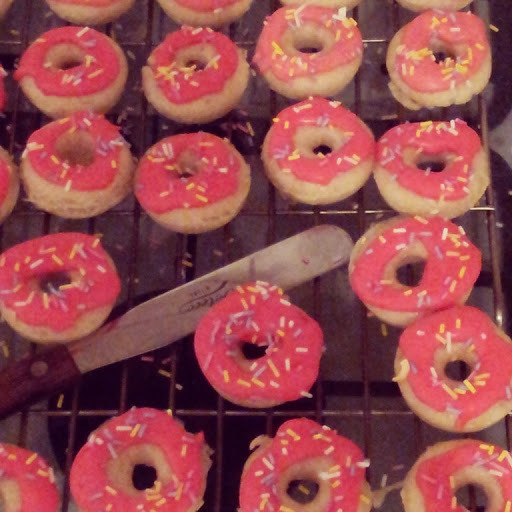 You don’t know how happy I was when lovely Kerry from Kerry Cooks pointed out that they looked like Homer Simpsons favourite doughnuts from The Simpsons – that was the look I was going for!!!! This mix will make somewhere between 24 and 30 mini-doughnuts and as moreish as they are you probably won’t want to eat ALL of them to yourself. My Mum half to her end of term book club and they went in minutes! They’re great for gatherings like that, or afternoon tea even! Why not get rid of boring old biscuits and serve one of these with a cuppa instead? Your options are endless! Pre-heat your oven to Gas mark 3 and using an oil spray lightly mist the silicone mould with vegetable oil. Sift the flour into a large bowl and place to one side. In a measuring jug mix your milk, egg, oil and vanilla paste. Whisk by hand until well combined and light and frothy. Make a well in the middle of the flour and slowly pour in the wet ingredients. With a wooden spoon or spatula, beat the wet and dry ingredients together. You want a thick sticky but smooth batter at the end. Beat vigorously to make sure there are no lumps. 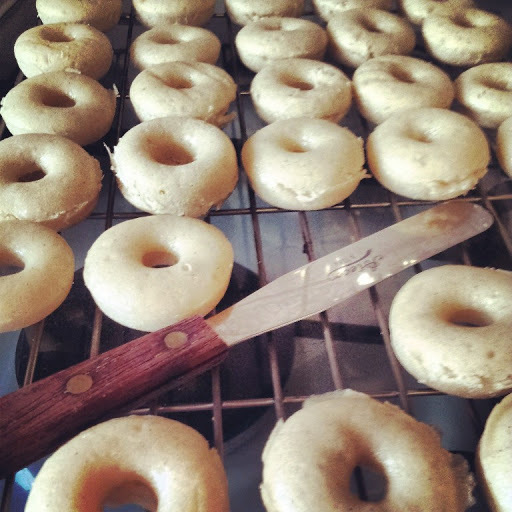 Fill the doughnut moulds roughly ¾ full with the batter. This can most easily be done with the assistance of a piping bag! Place in the centre of the oven and bake for 10-12 mins until they are springy to the touch. Pop out of the mould and leave to cool before icing. To ice: mix together the icing sugar with 1 tbsp of water making glace icing. You want it thick enough to hold its shape but runny enough to drizzle. Finally thoroughly mix in the food colouring. 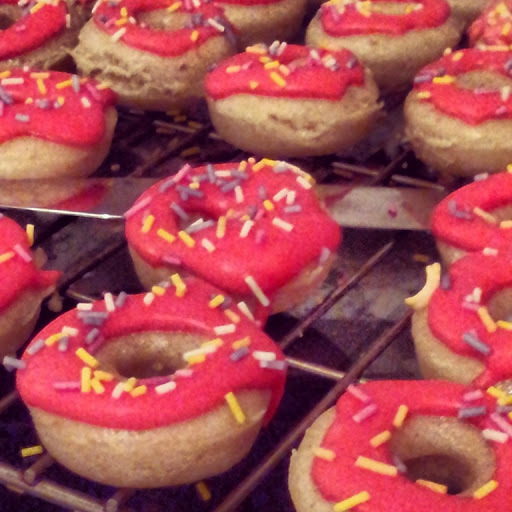 Drizzle over the doughnuts and immediately decorate with the sprinkles.